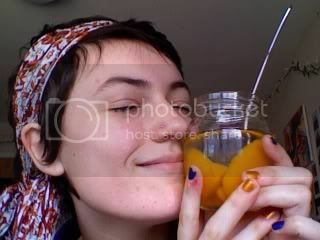 I love jarred fruit so much. I need to go back to the supermarket today and buy more of these peaches. They were in the sale aisle last time I was shopping, and they are delicious and so cheap. Fruits, and also warm temperatures make me very happy to be awake already today. Oh, and Ryan Adams is also making me smile, as per usual.